This bundle contains the following products. See the Tools section of the documentation for included plug-ins, such as Power Pose, Puppeteer, Hexagon Bridge, etc. What's new in Victoria 4.2? How do I work with Victoria 4 and her clothing? Briefly outlined below are the steps for creating a scene comprised of multiple Victoria 4 figures, her associated deformers, and any clothing that shares their influence. 1. Load Victoria 4 into the scene. 2. With the intended target Victoria 4 figure selected, load an item of conforming clothing, and conform/fit it. Note: If you are using Poser, be sure that the correct Victoria4 figure is selected in the scene before loading the clothing item for that figure, to ensure proper “cross-talking”. Note: If you are using Poser and plan to utilize the scaling Morphforms in Victoria 4 together with a conforming clothing item that has been built to support this feature, you will need follow a different workflow than when you use the other Morphforms (in Poser). First parent the BODY of the clothing item to the BODY of the intended target figure, and then copy the pose from the figure to the clothing item. If you are applying a pose to the clothing item that contains any information for the BODY actor, then you will need to Restore (Ctrl+E) the BODY of the conformed clothing item after applying said pose. 3. Apply the appropriate* “Magnetize to V4” pose, found in the “DAZ's Victoria 4\Magnetize Clothing” pose folder, to the newly conformed/fitted clothing item. 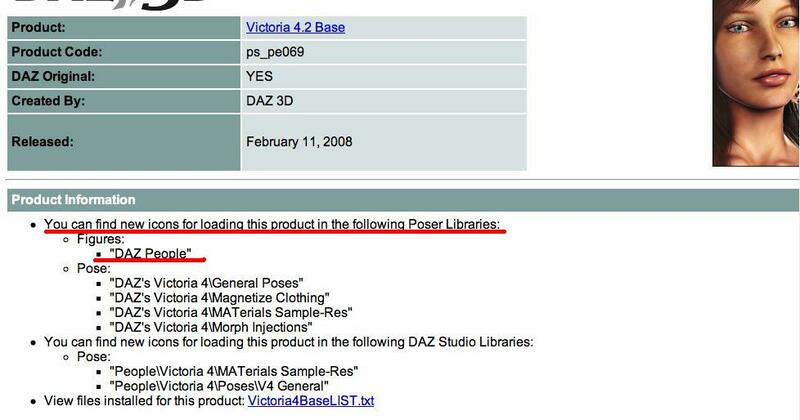 Note: In Poser, the appropriate “Magnetize to V4” pose is the one with the same number suffix as that of the Victoria4 figure to which the clothing is conformed. For example, if the clothing is conformed to a Victoria4 figure that Poser has labeled “Victoria4 2”, then the “Magnetize to V4 2” pose should be used. 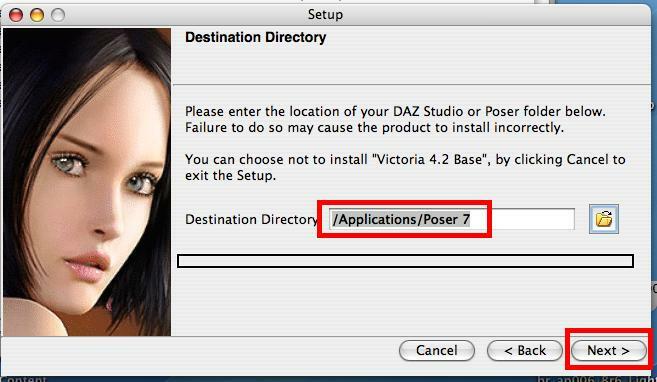 If you are utilizing a scene/figures saved in Poser, in DAZ|Studio, the information provided above still applies. If you are working in DAZ|Studio exclusively, the appropriate “Magnetize to V4” pose is the one labeled “!Magnetize to V4”, regardless of number suffix. 4. Repeat steps 1 thru 3 as needed. Can I save poses that utilize Victoria 4's Full Body Morphs (FBM), in Poser? Historically, the answer to that question would be… no. While a future version of the application may change this, limitations within Poser do not allow saving poses that utilize FBMs, natively*. In Victoria 4 we did something a little different. By creatively re-purposing existing technology, you can now save poses that utilize Victoria 4's FBMs, directly within Poser. 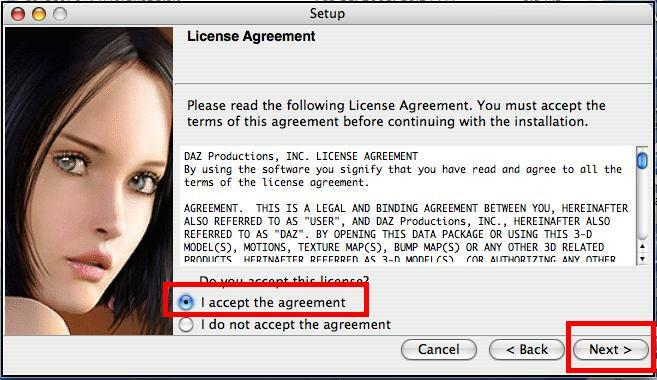 Note: DAZ Studio users do not have this limitation. Using the Custom option in the Save Pose Preset dialog, users can selectively record any parameters of their choosing to a Pose Preset. The term “Morphforms” comes from joining the two existing terms that define it, Morphs and Transforms. Generally speaking, Morphs modify the shape of a figure's geometry, whereas Transforms allow you to manipulate that geometry by rotating, translating and/or scaling it. Morphforms are a combination of the two, in that they are Morph dials that drive multiple Transforms at a time, for the benefit and/or convenience of the user. Since the application recognizes these dials as morphs, any Poses which use Morphforms need to be saved with the “include morphs” option selected in order for the values to be recorded as part of the pose*. DAZ|Studio users also have the added benefit of the “Morphforms to Transforms” script available on the DAZ website, which will “bake” the Morphform values down to the actual Transforms which comprise it. This script, when used in conjunction with the “Poser Format Exporter” script, also available on the DAZ website, enables DAZ Studio users to generate Poser format poses that can be utilized by all users of Victoria 4. Why do I get the error message “This file has a newer version number than expected. 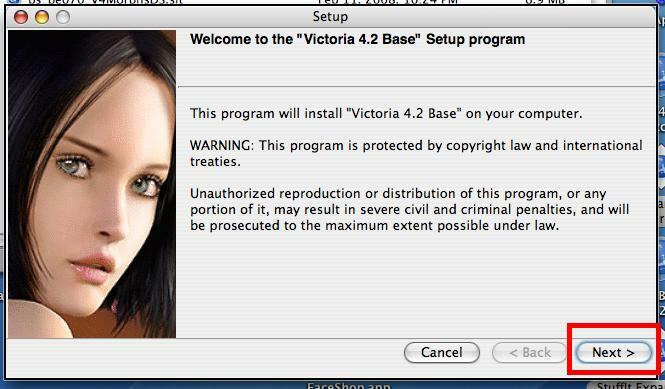 Poser will try to read it anyway.” when I attempt to load Victoria 4? 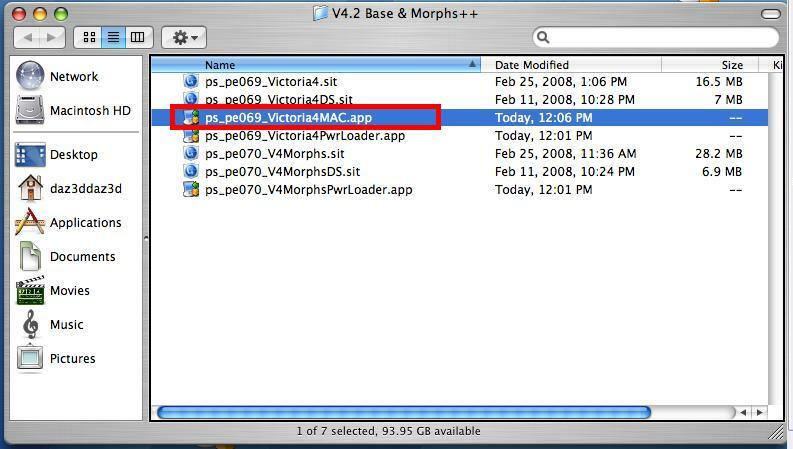 Victoria 4 makes use of features either not found in earlier versions of Poser and/or features that are implemented differently in versions prior to Poser 6. While the figure may still load, we cannot ensure optimal results in prior versions. 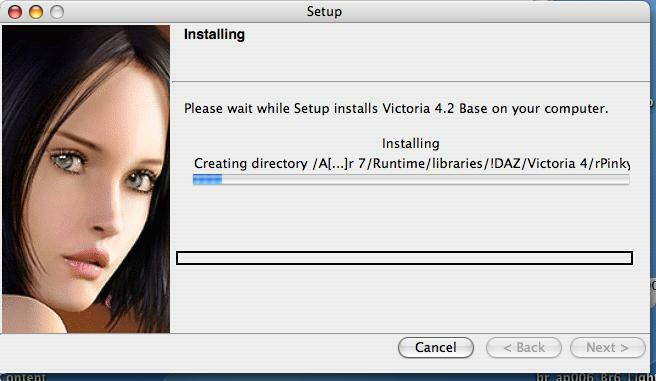 Why are V4's eyebrows scaling to 200% when I zero out Victoria 4 in DAZ|Studio?? This has been fixed in Victoria 4.2 so it should not be happening if you have upgraded from 4.1 to 4.2. Why is it taking so long to load V4 in Poser? The .cr2 file can be moved to an external Runtime, but the files in the Libraries:!DAZ folder should be kept in the default Poser Runtime. 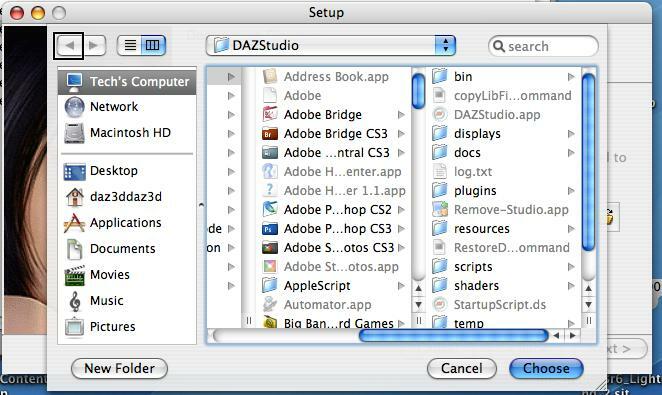 If the !DAZ folder is moved to an external Runtime, Poser first looks in the default Runtime, then starts looking through all files on all hard drives for the files. This can take a very long time to complete, as much as 15-20 minutes. Here are screen shots of how to install Victoria 4.2 (Base) on the Mac into Poser. 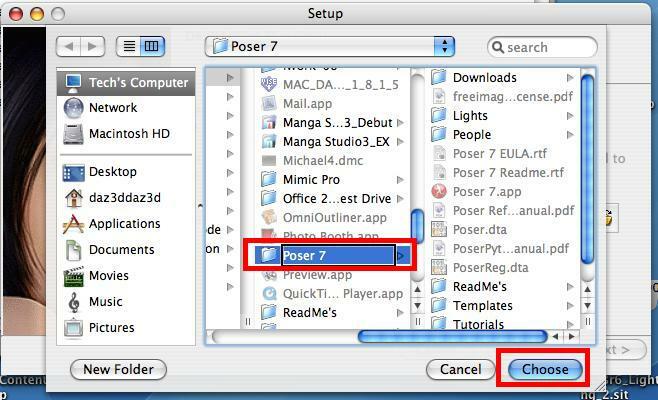 These screen shots show Poser 7, but they really apply to any version of Poser from version 6 and up. Victoria 4.2 requires Mac OSX 10.3.9 or higher in order to work properly. Victoria 4.2 does not work in versions of Poser earlier than Poser 6. DAZ Studio users need DS version 1.8.2.1 + Patch or higher. 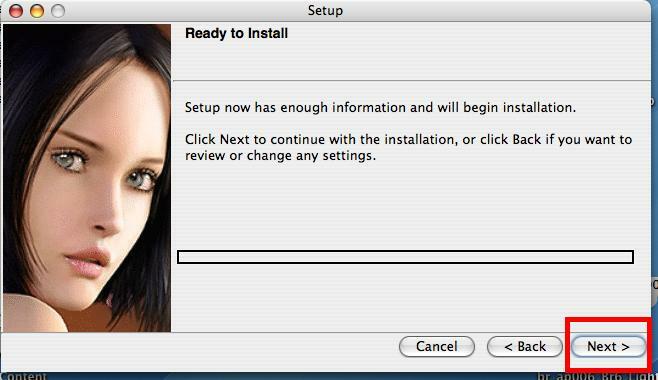 The installer requires that a file named 'Poser.exe' is located in the directory where the product is installed. For this reason, installation for PoserPro fails. (name of executable is PoserPro.exe; a separate content directory may be used.) Add a file named 'Poser.exe' (a simple textfile, renamed, will do) to fool the installer and instal. After installation remove the fake 'poser.exe' to avoid any future complications. Same method can be used for anyone keeping dedicated Runtimes for figures. Remember that the Library\!DAZ directory with the morph data needs to be in the core Runtime for proper performance, so copy M4's into the core Runtime to get the installation complete. There are 4 installers for this product: 1 main installer, M4 Power Loader installer, an installer with DS-optimized material files and the Michael 4 Presets (for DAZ Studio). The DS Flat and Glossy maps load with the bump maps enabled. If the displacement is turned on as well, the final might be harsh with some lighting set ups at close up so it may be necessary to turn the bump maps off with the Bump Off file. === How do I work with Victoria 4 and her clothing? === Briefly outlined below are the steps for creating a scene comprised of multiple Victoria 4 figures, her associated deformers, and any clothing that shares their influence. 1. Load Victoria 4 into the scene. 2. With the intended target Victoria 4 figure selected1, load an item of conforming clothing, and conform/fit it2. TOLL-FREE 1-800-267-5170 ===== File Listing ===== ==== Poser installer ==== \Runtime\Libraries\Pose\DAZ's Michael 4\MAT M4 Muscle Maps\BumpSpecFlat.png \Runtime\Libraries\Pose\DAZ's Michael 4\MAT M4 Muscle Maps\BumpSpecFlat.pz2 \Runtime\Libraries\Pose\DAZ's Michael 4\MAT M4 Muscle Maps\BumpSpecGloss.png \Runtime\Libraries\Pose\DAZ's Michael 4\MAT M4 Muscle Maps\BumpSpecGloss.pz2 \Runtime\Libraries\Pose\DAZ's Michael 4\MAT M4 Muscle Maps\SpecFlat.png \Runtime\Libraries\Pose\DAZ's Michael 4\MAT M4 Muscle Maps\SpecFlat.pz2 \Runtime\Libraries\Pose\DAZ's Michael 4\MAT M4 Muscle Maps\SpecGloss.png \Runtime\Libraries\Pose\DAZ's Michael 4\MAT M4 Muscle Maps\SpecGloss.pz2 \Runtime\Textures\DAZ\Characters\MilMan\M4\M4_Muscle_Face.tif \Runtime\Textures\DAZ\Characters\MilMan\M4\M4_Muscle_Limbs.tif \Runtime\Textures\DAZ\Characters\MilMan\M4\M4_Muscle_Torso.tif \Runtime\Textures\DAZ\Characters\MilMan\M4\M4MuscMapsHeadB.jpg \Runtime\Textures\DAZ\Characters\MilMan\M4\M4MuscMapsHeadC.jpg \Runtime\Textures\DAZ\Characters\MilMan\M4\M4MuscMapsHeadS.jpg \Runtime\Textures\DAZ\Characters\MilMan\M4\M4MuscMapsLimbsB.jpg \Runtime\Textures\DAZ\Characters\MilMan\M4\M4MuscMapsLimbsC.jpg \Runtime\Textures\DAZ\Characters\MilMan\M4\M4MuscMapsLimbsS.jpg \Runtime\Textures\DAZ\Characters\MilMan\M4\M4MuscMapsTorsoB.jpg \Runtime\Textures\DAZ\Characters\MilMan\M4\M4MuscMapsTorsoC.jpg \Runtime\Textures\DAZ\Characters\MilMan\M4\M4MuscMapsTorsoS.jpg ==== DS installer ==== \People\Michael 4\Textures\Muscle Maps\M4 Muscles Bump OFF.ds \People\Michael 4\Textures\Muscle Maps\M4 Muscles Bump OFF.ds.png \People\Michael 4\Textures\Muscle Maps\M4 Muscles Bump ON.ds \People\Michael 4\Textures\Muscle Maps\M4 Muscles Bump ON.ds.png \People\Michael 4\Textures\Muscle Maps\M4 Muscles Displacement OFF.ds \People\Michael 4\Textures\Muscle Maps\M4 Muscles Displacement OFF.ds.png \People\Michael 4\Textures\Muscle Maps\M4 Muscles Displacement ON.ds \People\Michael 4\Textures\Muscle Maps\M4 Muscles Displacement ON.ds.png \People\Michael 4\Textures\Muscle Maps\M4 Muscles Maps MAT Flat.ds \People\Michael 4\Textures\Muscle Maps\M4 Muscles Maps MAT Flat.ds.png \People\Michael 4\Textures\Muscle Maps\M4 Muscles Maps MAT Glossy.ds \People\Michael 4\Textures\Muscle Maps\M4 Muscles Maps MAT Glossy.ds.png ===== Notes ===== * This product has 2 main installers and 1 installer with DAZ Studio 2+ optimized material presets.